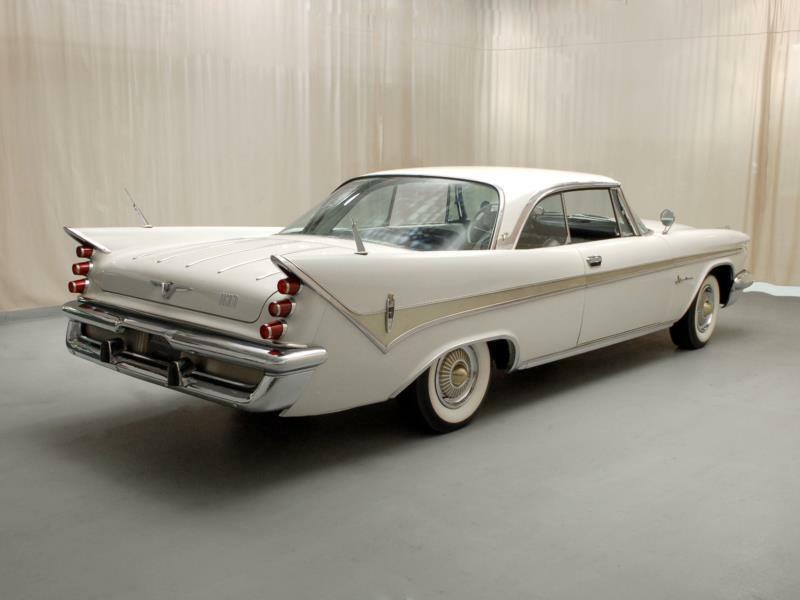 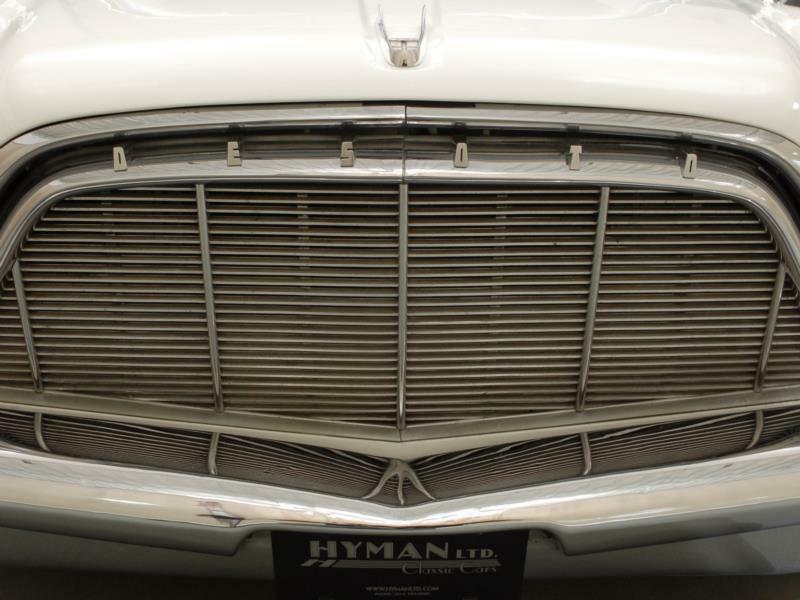 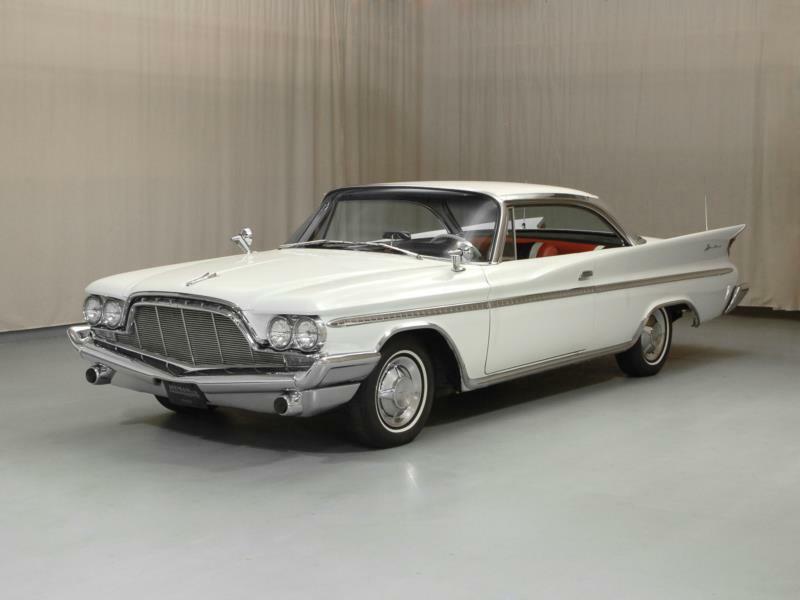 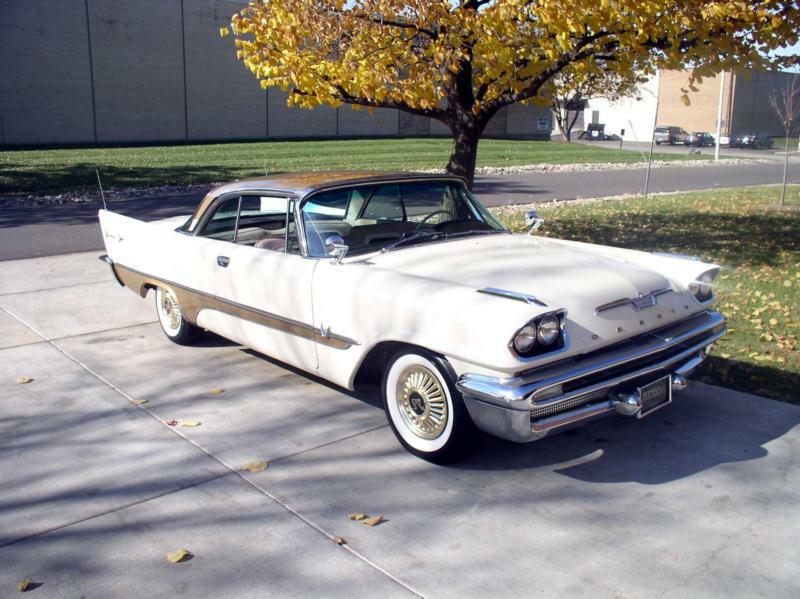 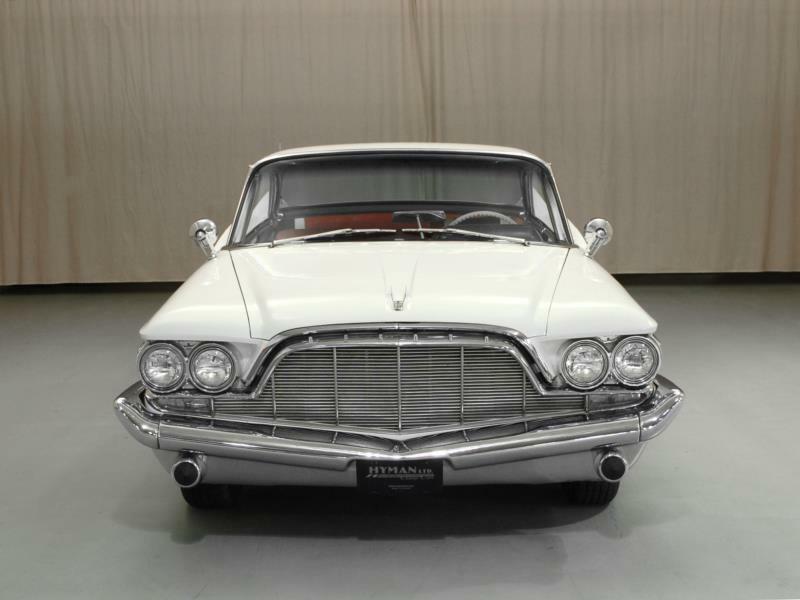 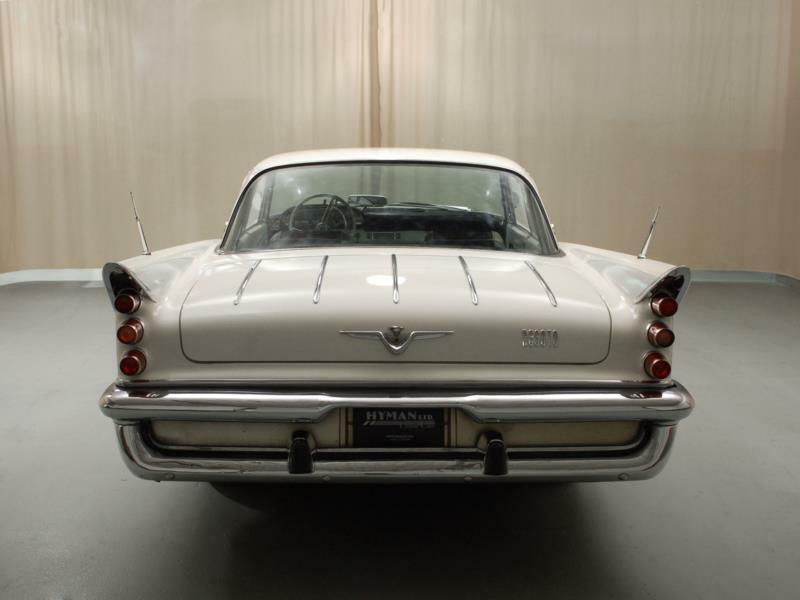 In the boom years of the late 1950s, the Adventurer was DeSoto’s top-of-the-line performance car. 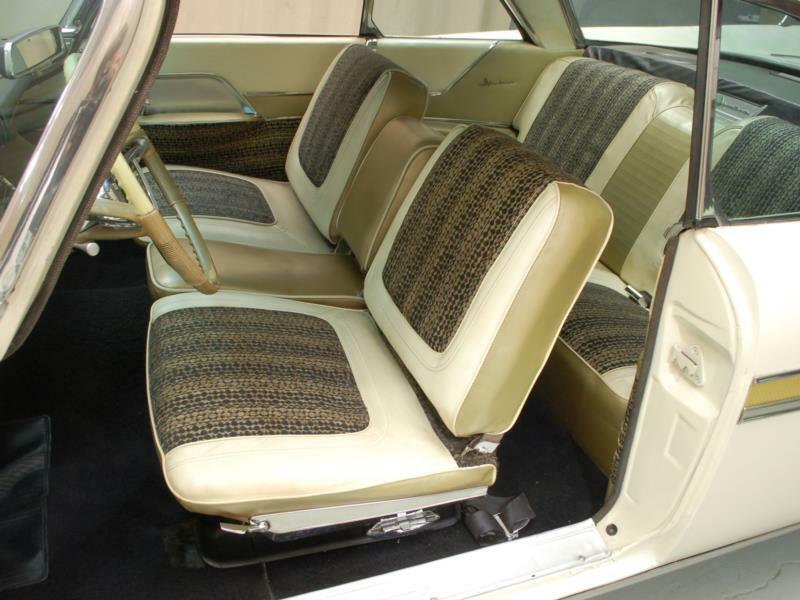 Based on the popular Fireflite line, the Adventurer was offered as a limited edition two-door hardtop coupe. 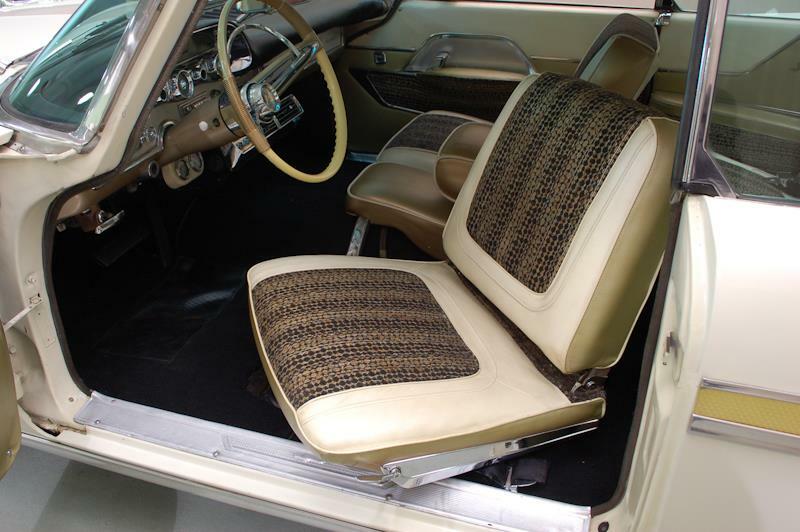 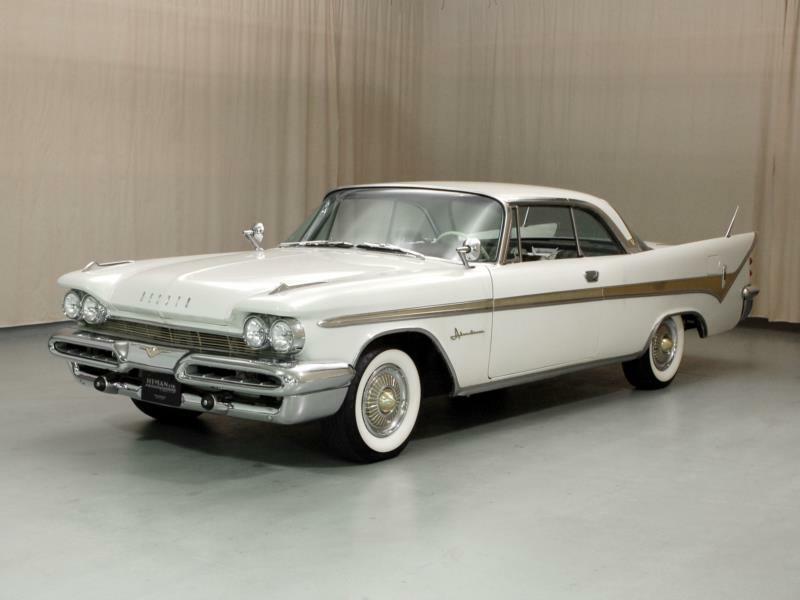 The 1956 Adventurer (or “Golden Adventurer”) differed from the standard Fireflite by featuring a special high-performance Hemi V-8 engine displacing 341 cubic inches and delivering 320 hp. 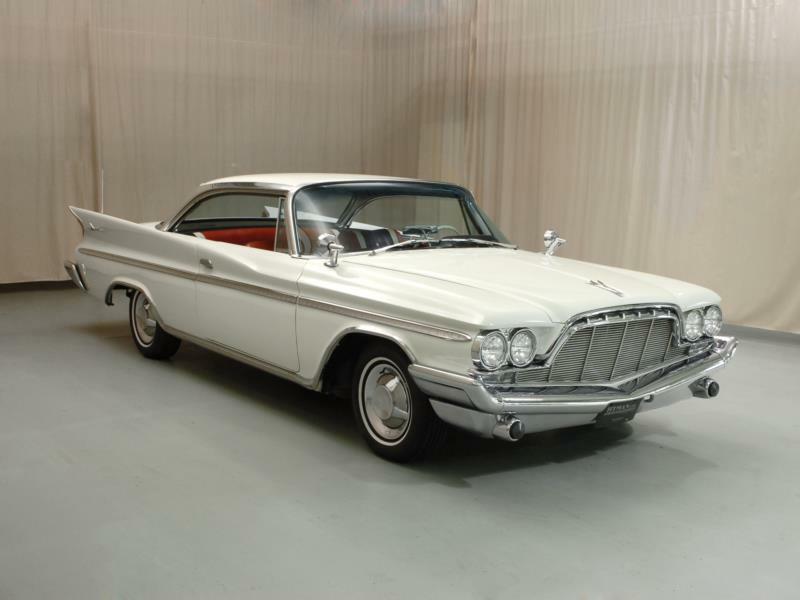 The transmission was the DeSoto PowerFlite automatic unit. 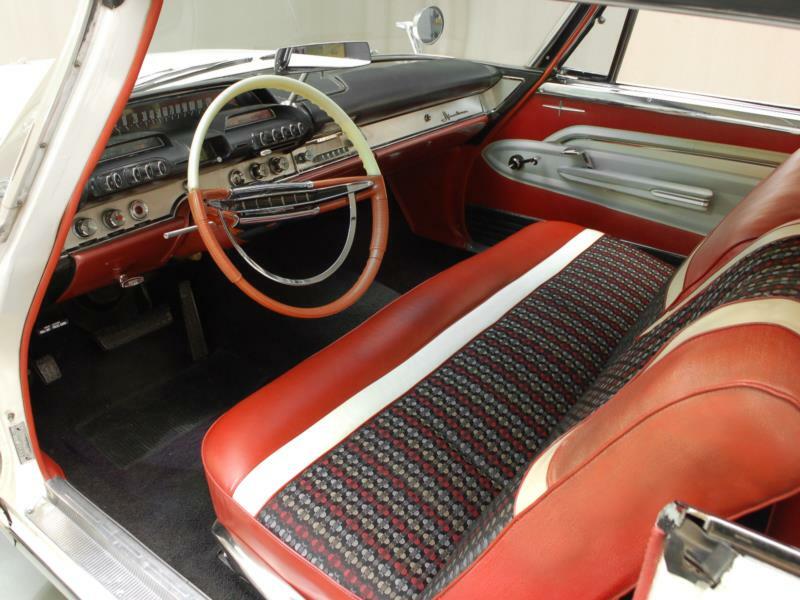 Adventurers also featured dual carburetors, dual exhaust, upgraded suspension, power brakes, and upgraded interiors with power seats and windows. 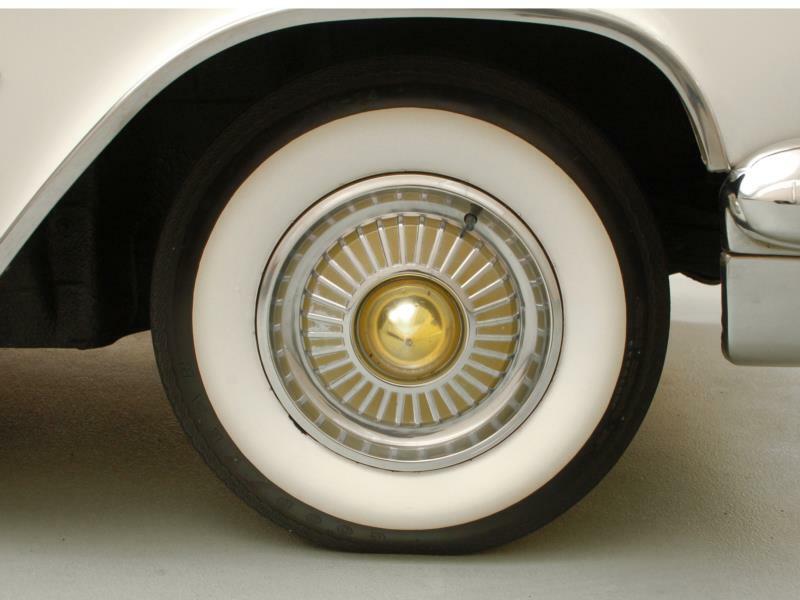 The Adventurer also came with a special paint scheme, either black or white with a gold side sweep that was matched to gold hubcaps to complete the picture. 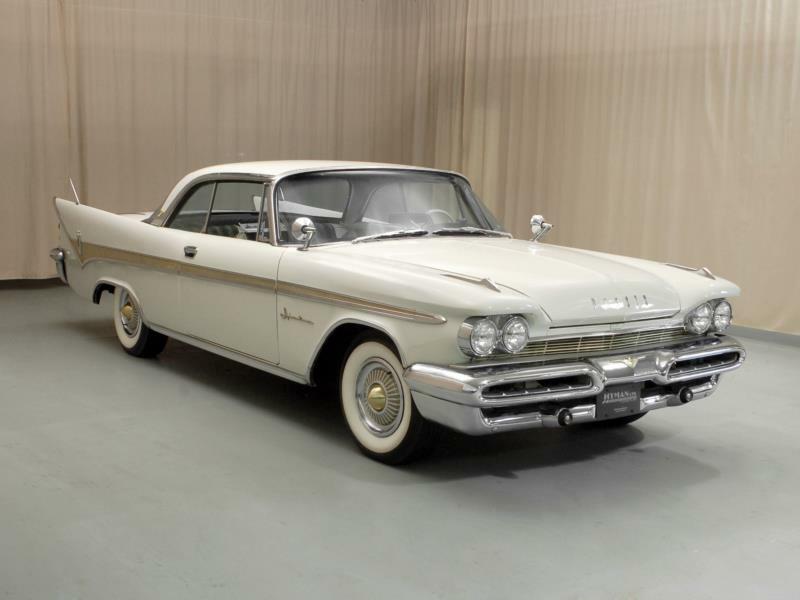 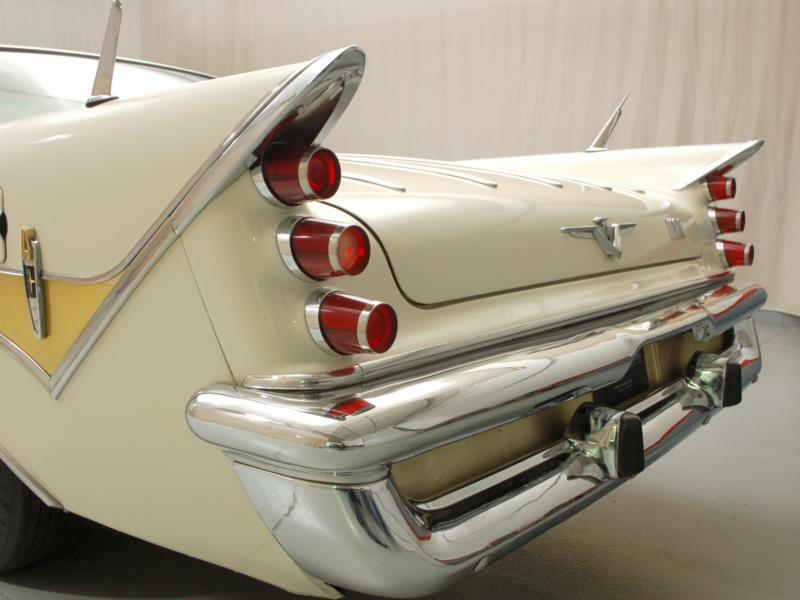 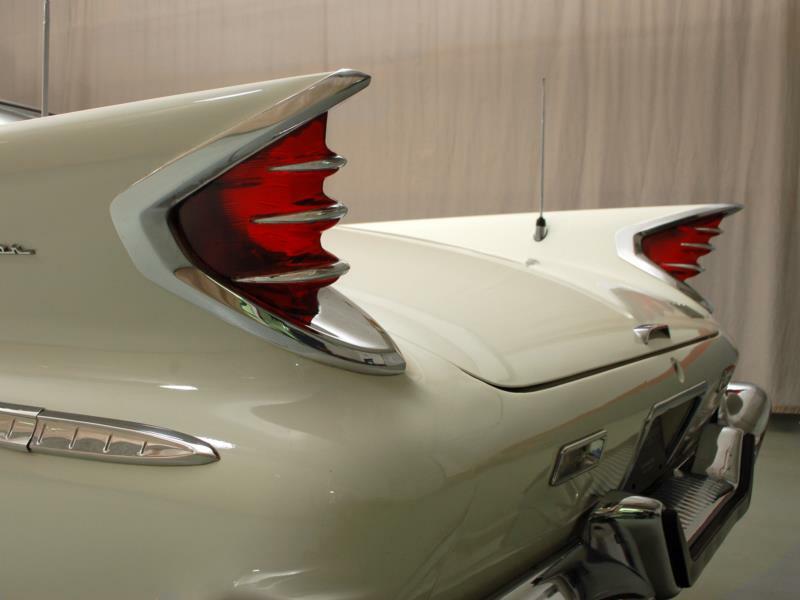 The 1957 model year brought larger tailfins and the addition of a two-door convertible to the Adventurer line. 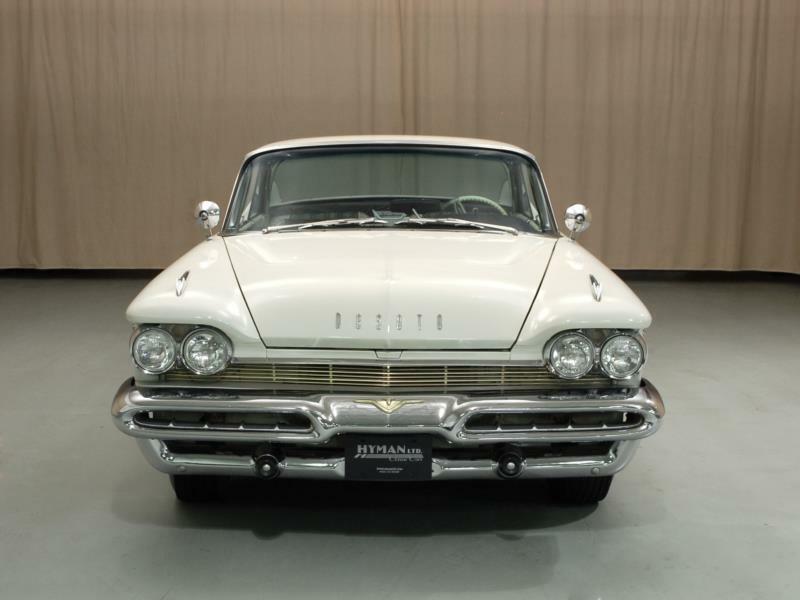 In this year, DeSoto committed to the Adventurer as a performance car, bumping engine displacement to 345 cubic inches and 345 horsepower. 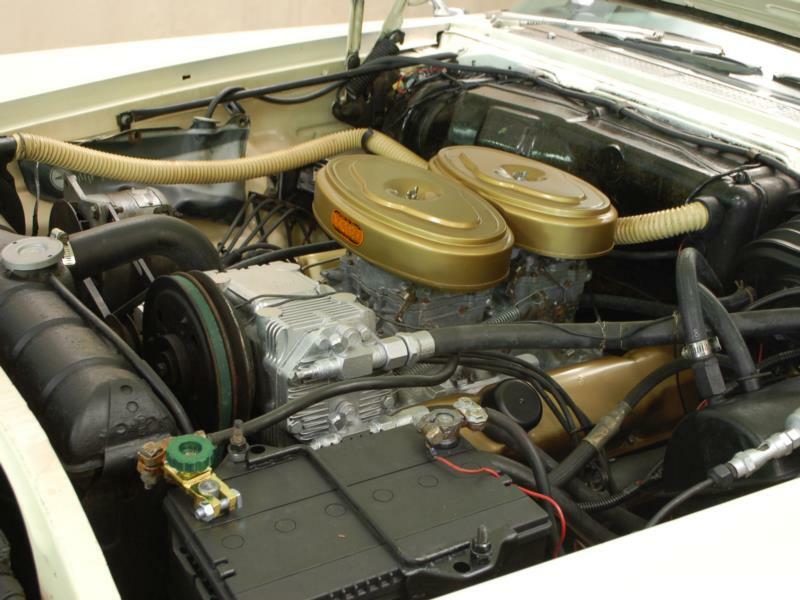 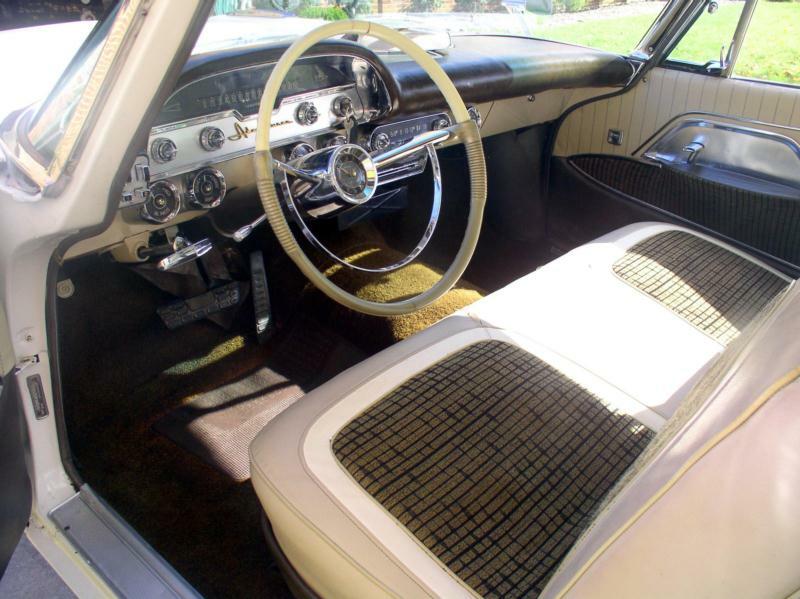 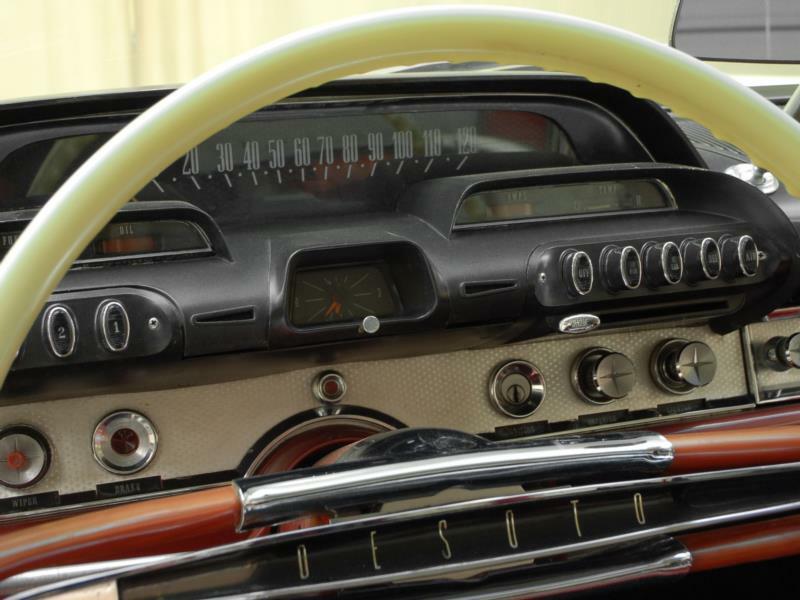 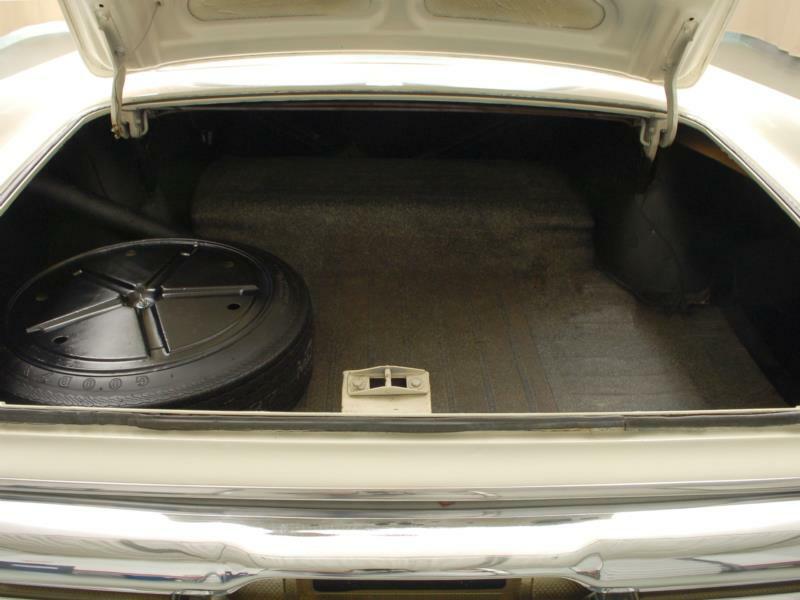 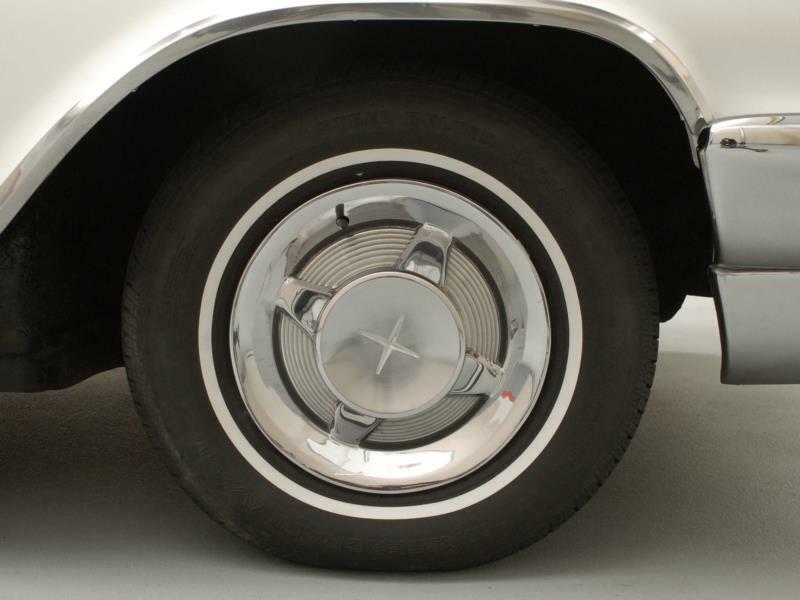 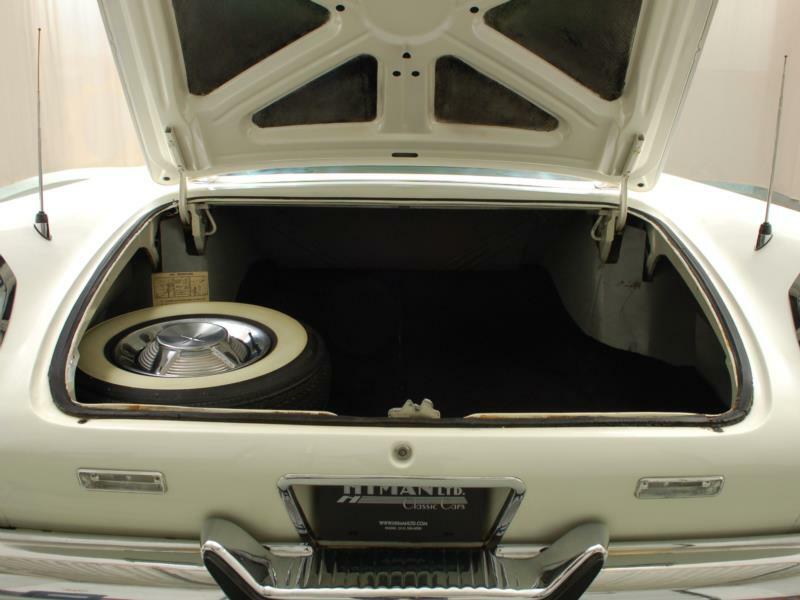 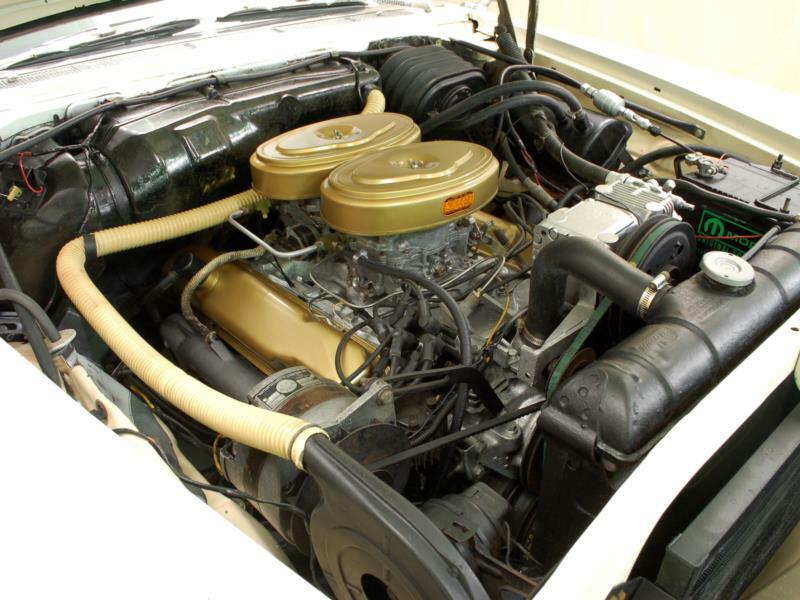 Further model year changes in 1958 made the Adventurer sleeker, and the big news was the addition of a Bendix fuel injection option, which raised the rated horsepower to 355. 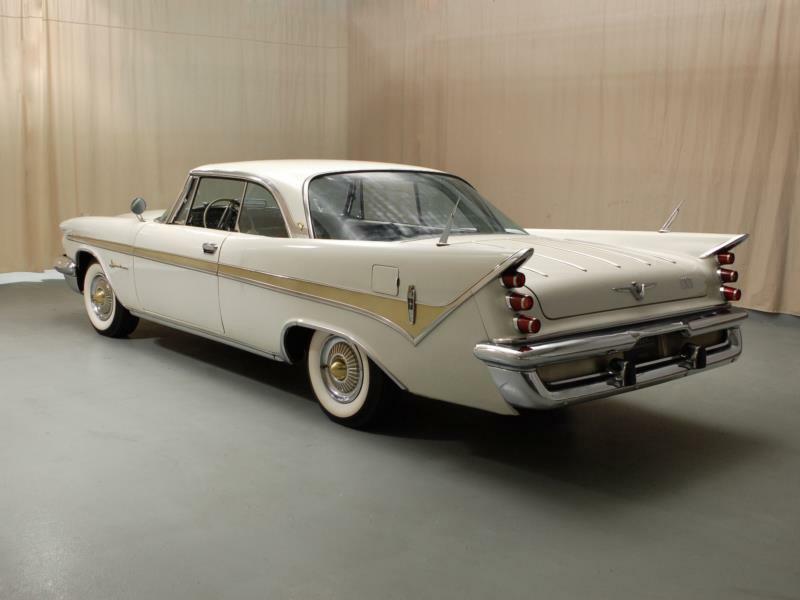 DeSoto later recalled all fuel-injected cars and replaced the injection with dual carburetors, but the cars still bore a "Fuel Injection" nameplate above the fender badges. 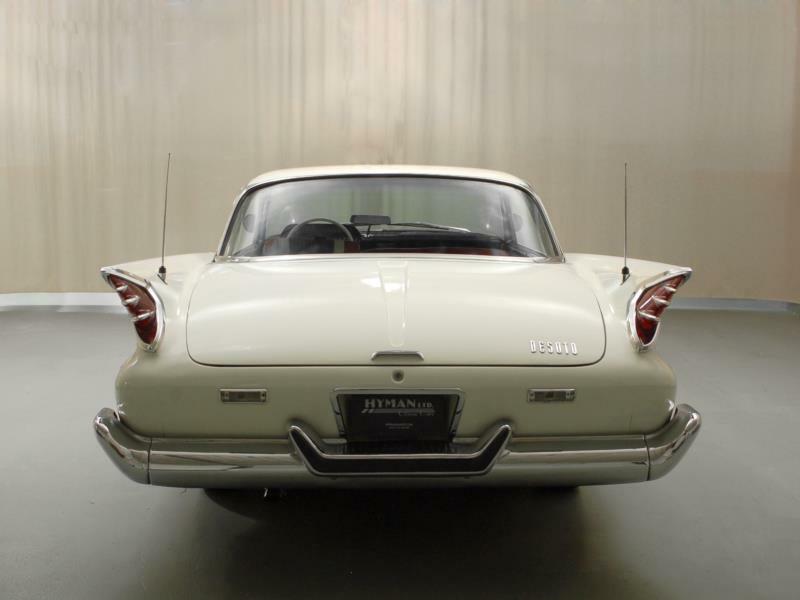 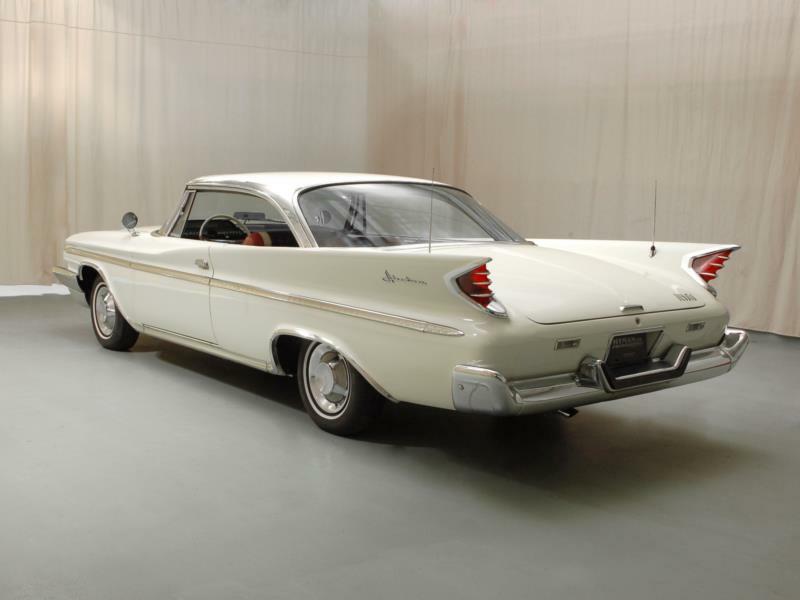 In 1959, the bodywork changed yet again, with the two-door hardtop coupe now known as a “Sportsman” – but changes were not as radical as in prior years. 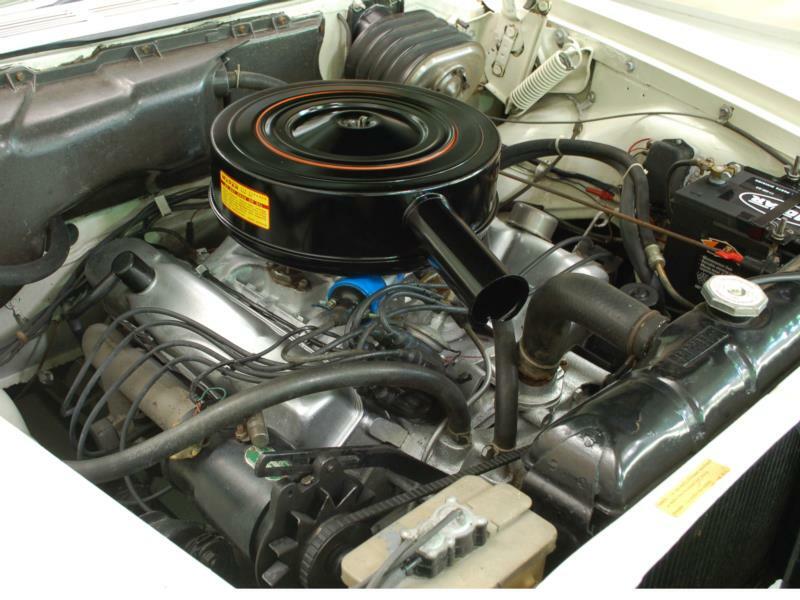 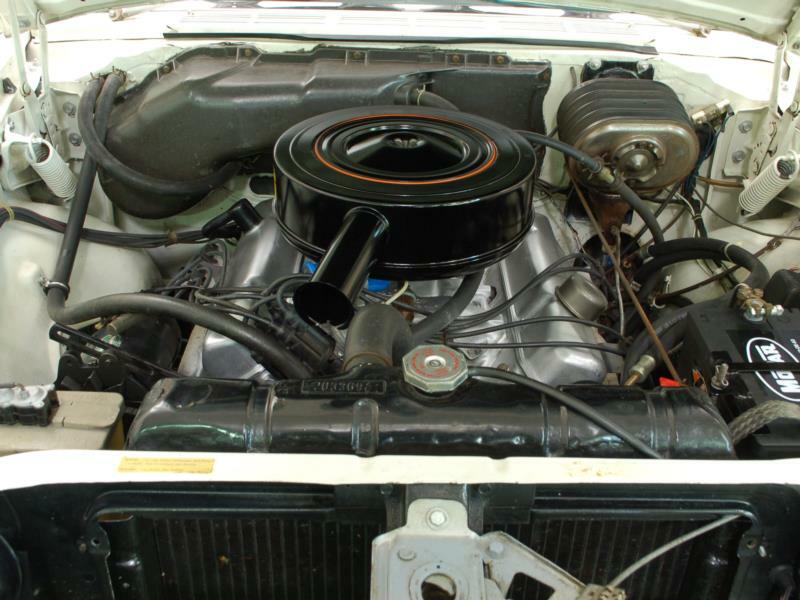 The engine was replaced with Chrysler’s 383-cid Hemi V-8 at 350 hp. 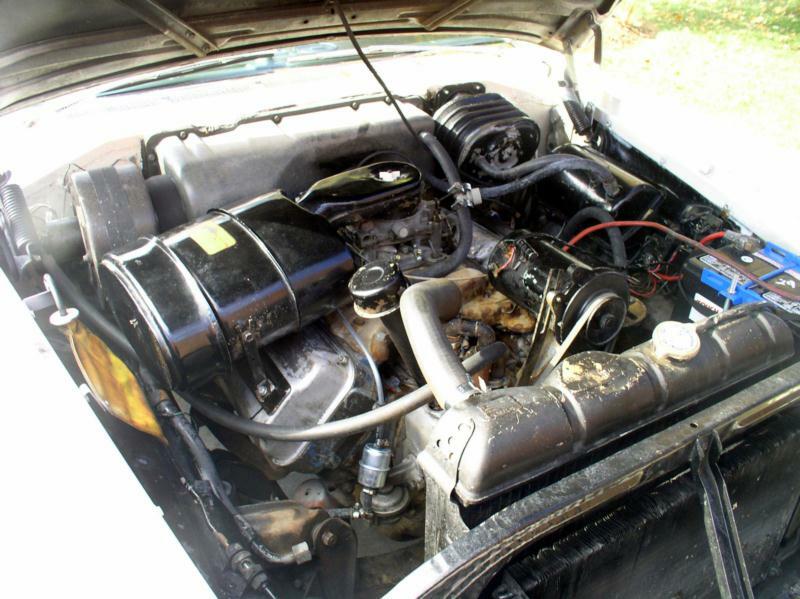 Adventurer’s usual complement of power everything and upgrades continued as the top of the line. 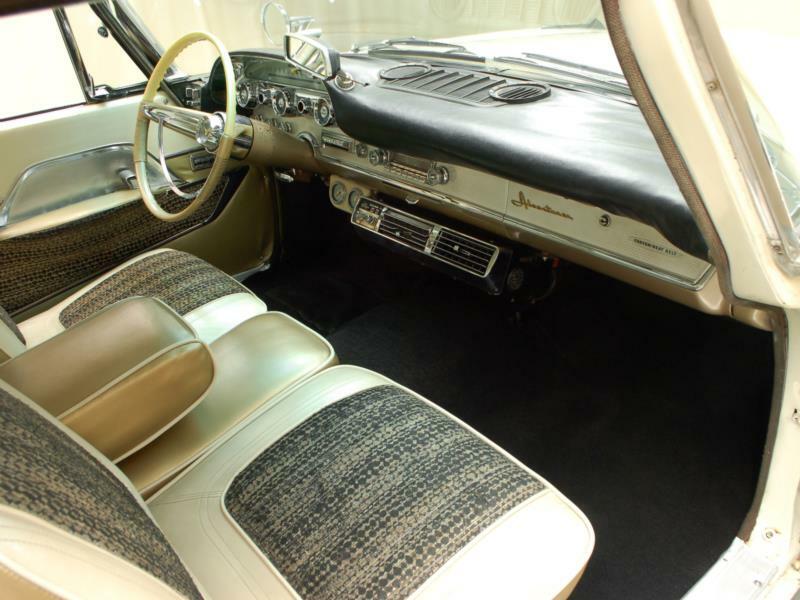 For the final year of the Adventurer in 1960, the convertible disappeared and was replaced by a four-door hardtop and four-door pillared sedan from the Fireflite line. 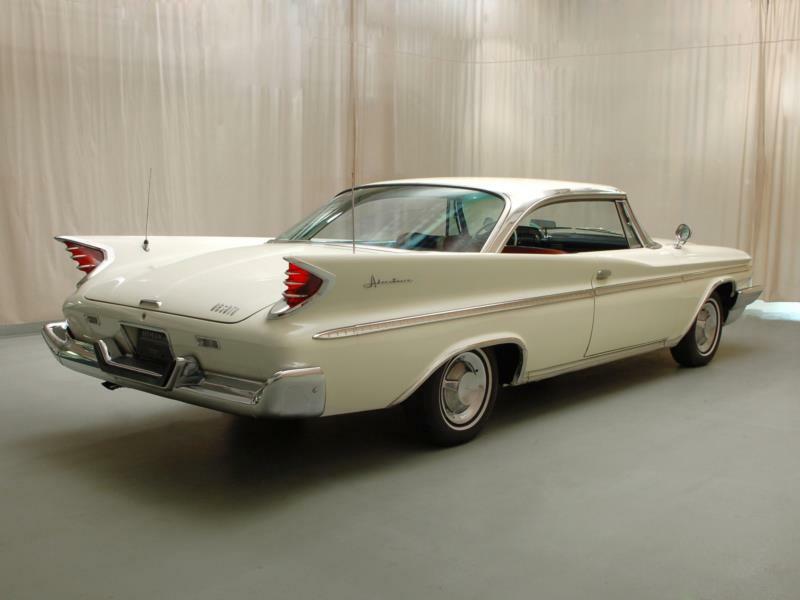 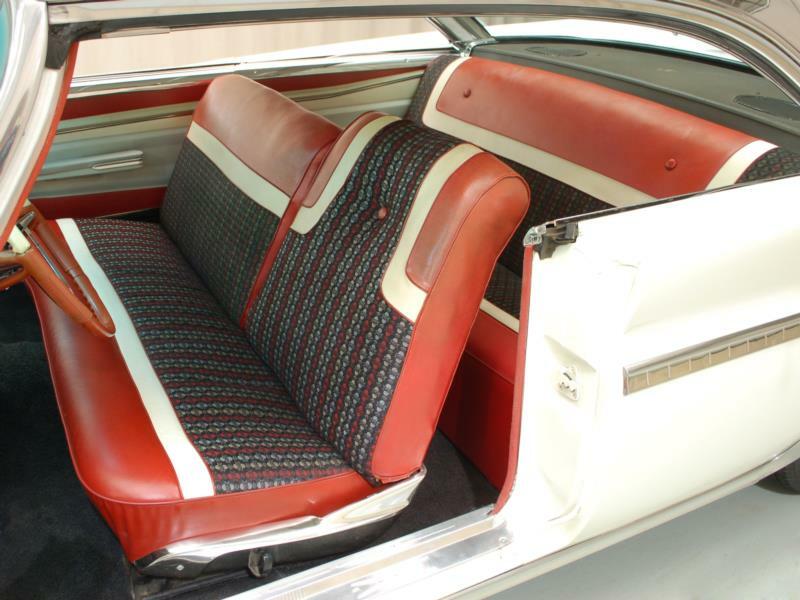 DeSoto was on its way out, and the Adventurer was the best bet for sales. 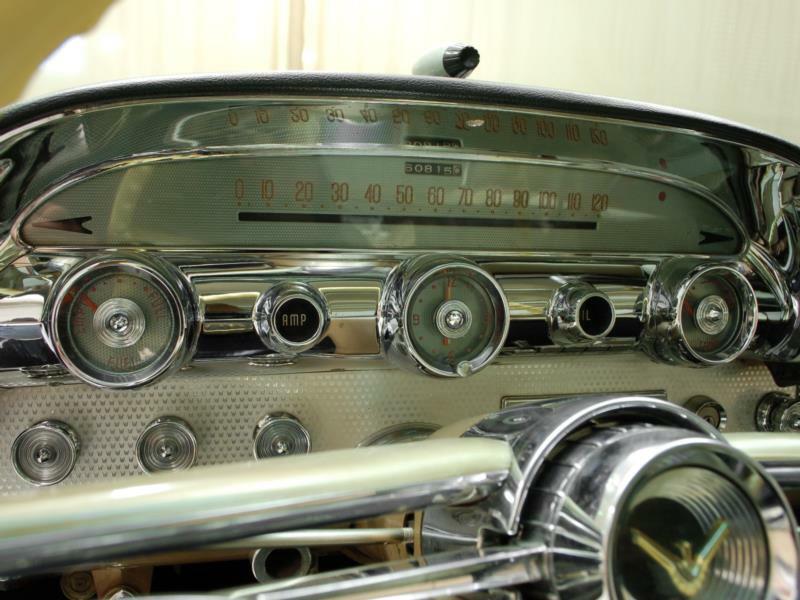 Total 1960 production was over 11,000 Adventurers, compared to 687 in 1959, just 432 in 1958, 1,950 in 1957, and 996 cars in 1956. 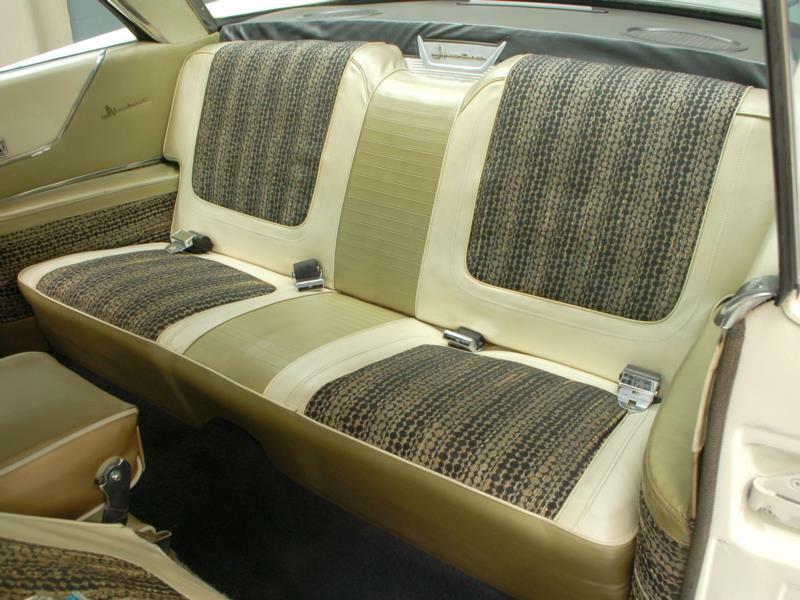 The 1960 model was the only year in which Adventurers were offered in a variety of colors. 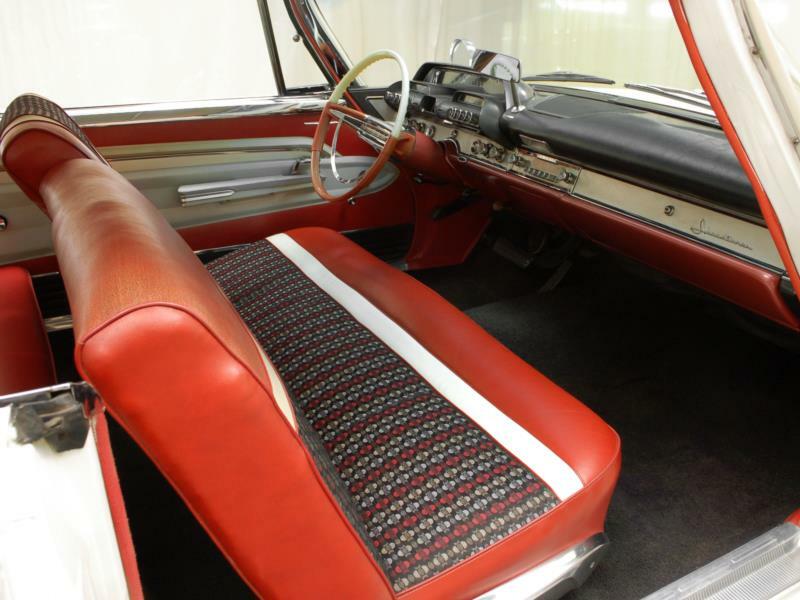 Collectors will want to seek out the convertibles, with just 479 made through three years of production. 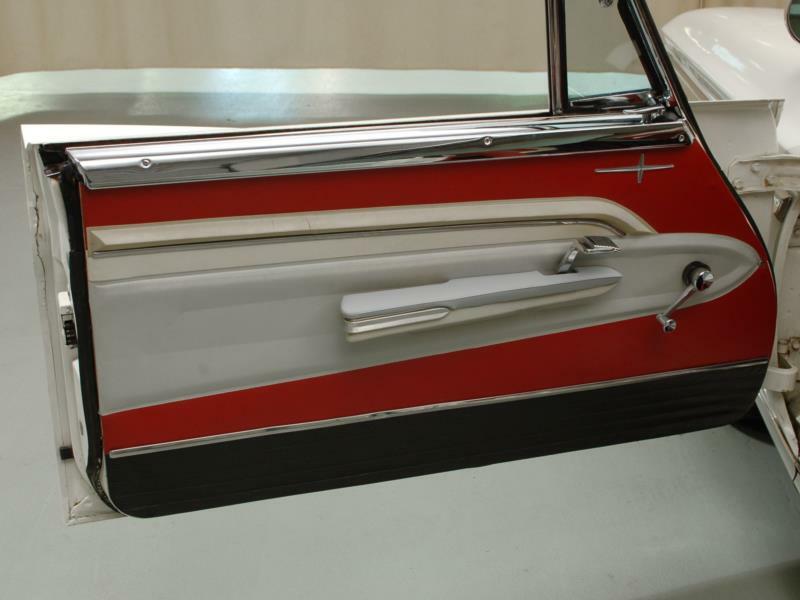 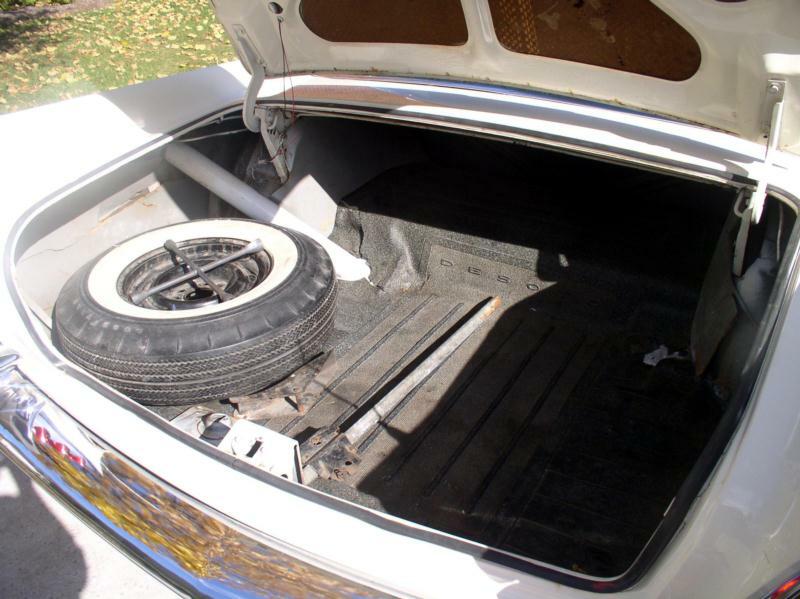 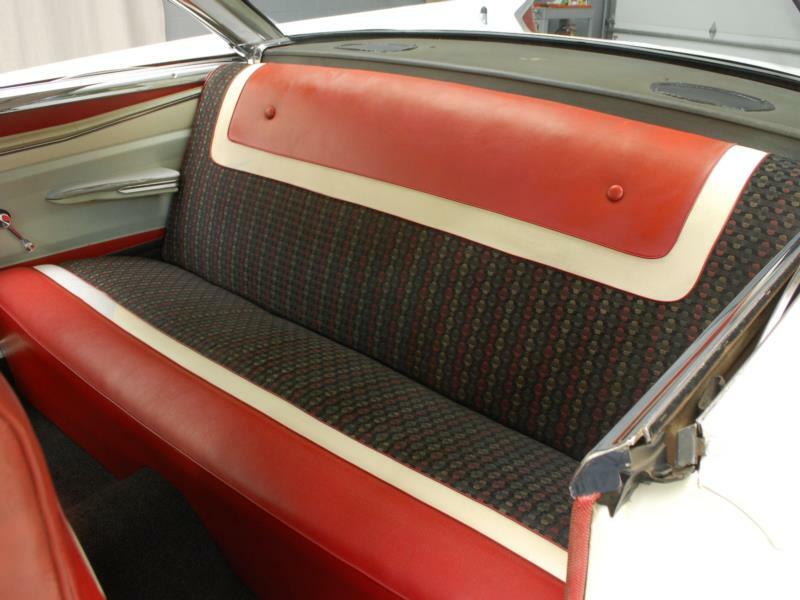 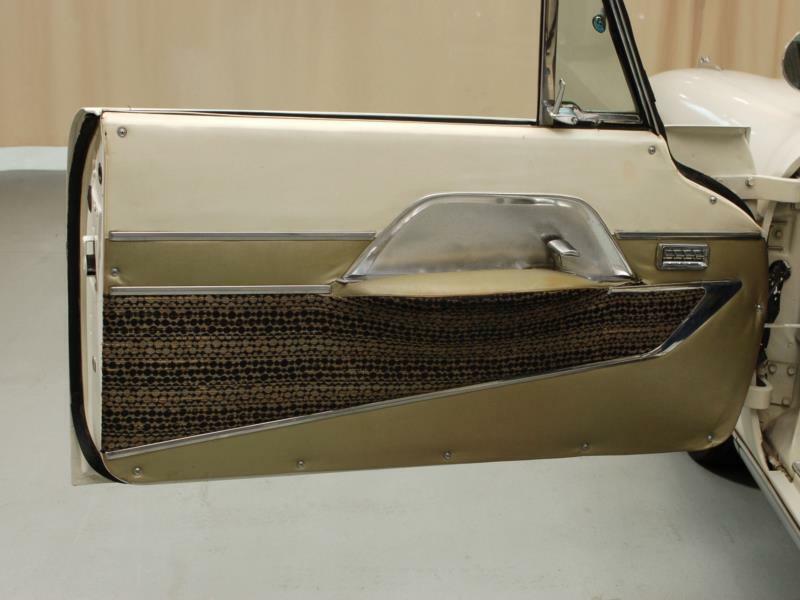 Any fuel-injected cars from 1958 that escaped retrofit would also be highly collectible. 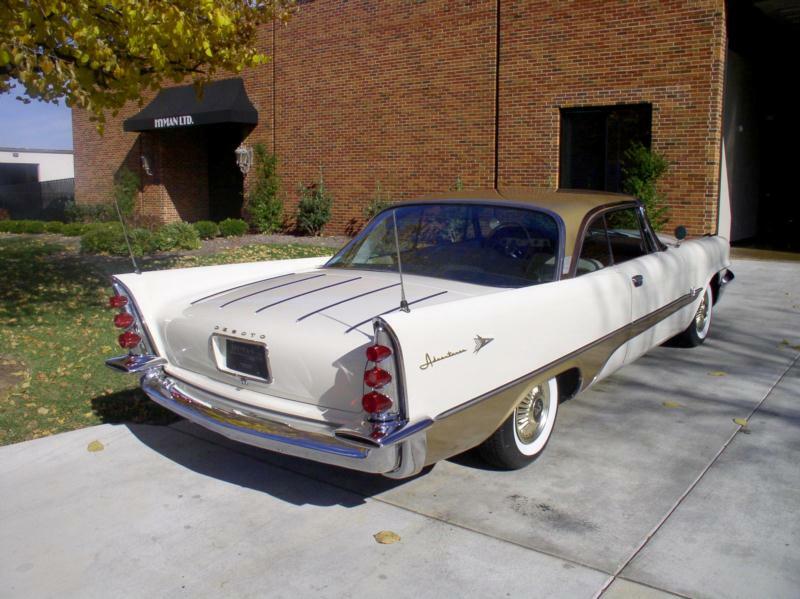 Because the Adventurer was always DeSoto’s performance car and the line had so few options, any Adventurer is a solid choice.